Ben Roach said he enjoys dance because it allows him to meet the male expectation of athleticism while exercising more "emotional intelligence" than is generally allowed in athletics. 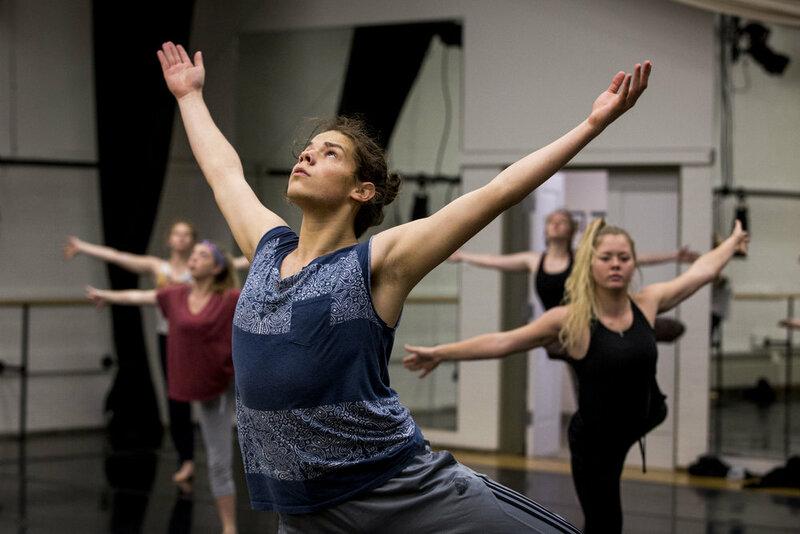 Ben Roach isn't your average dance major. That's because your average dance major is a woman, at least at Ohio University. Simply because of his gender, he is in the small percentage of male dance majors studying at OU. He is one of two men in the program out of close to 40 students total. "I've danced my entire life, so of course I've gotten lots of backlash from that," Roach said. "It gets played with a lot in dance. There is this vulnerability in dance that isn't common in masculinity that is inevitable of dance." Although dance isn't as typical for young men as is football or baseball, the decision to dance was clear to Ben from a young age. Ben Roach said he enjoys the gender fluidity that dance allows, sometimes starting a dance where the his gender is unknown. "I started when I was 5 because my sister was my best friend and she was a dancer," Ben said. 'Do you want to go to football with your brother or do you want to go to dance with your sister?' And I didn't like my brother at the time so I was like, 'definitely dance.' "
Gender doesn't mean much to Ben, anyway. He's still trying to figure out exactly how he identifies his own gender, but those lines are often blurred in dance. "I think it's important for people to begin to understand that gender isn't two ideas, two very contrasting ideas, and that there is a spectrum and that we all fall on it somewhere," Roach said. "I love doing dances where, I have long hair and I wear skirts a lot, so to the back you aren't quite sure what's going on and then through further development of the dance, you may figure it out, but it's important to express those and to bend those preconceived lines." Nationally, over 80% of dancers are female. 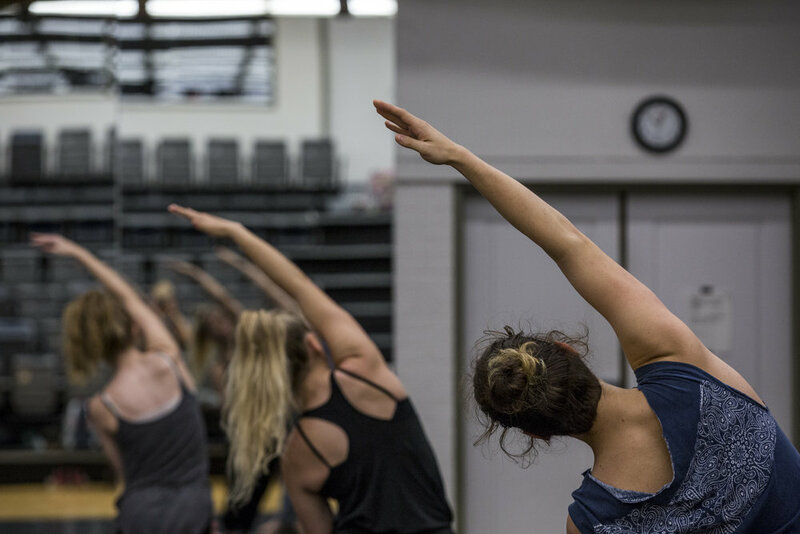 The disparity is even bigger among the top five institutions for dance, with females representing 87% of dance majors. 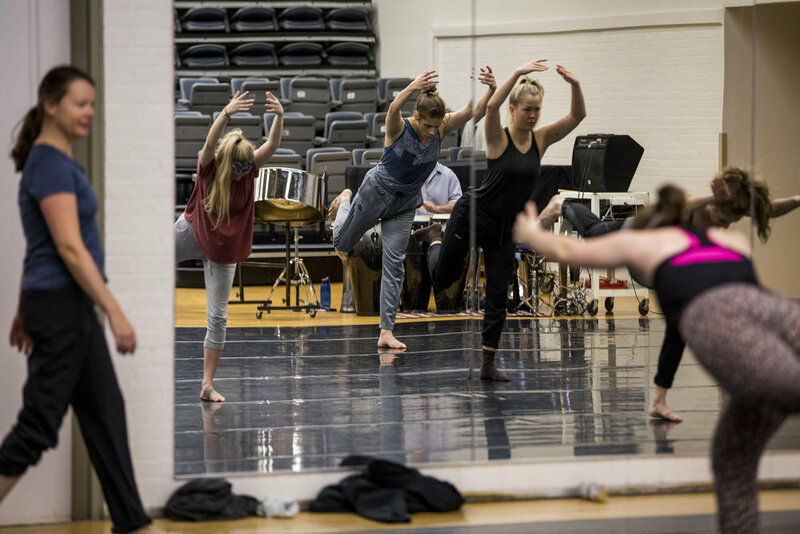 Ultimately, Roach hopes to join a dance company that's more experimental and questions societal norms, and later he hopes to become a choreographer. 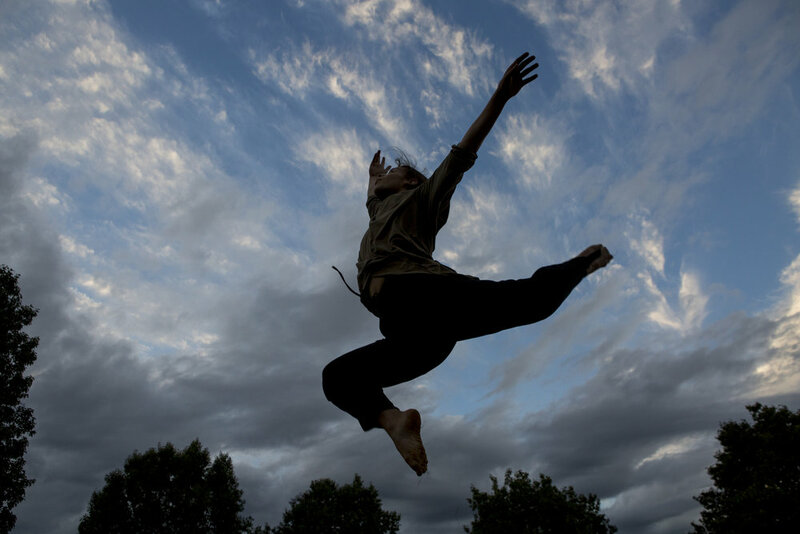 Ben Roach chose to abandon typical ideas about masculinity to pursue dance. Ben Roach said that growing up as a male dancer in Appalachia has made him more comfortable with his status as a dancer. Ben Roach is the only male in his techniques class and only one of two men in the school of dance. Ben Roach said that dance is athletic, but through a lens of emotional intelligence or artistry. Ben Roach moves through outdoor space while dancing outside of McCracken Hall. He said that while he sometimes gets pushback or harassment in Athens, those things become background noises after a while.